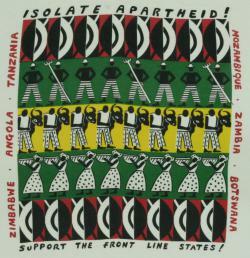 Isolate Apartheid! Support the Front Line States! This T-shirt became AA Enterprises best-selling T-shirt. 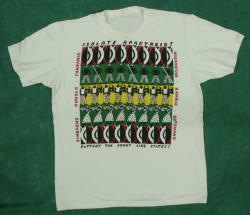 AA Enterprises also produced gift wrapping paper, a mug and a tea towel in the same design. 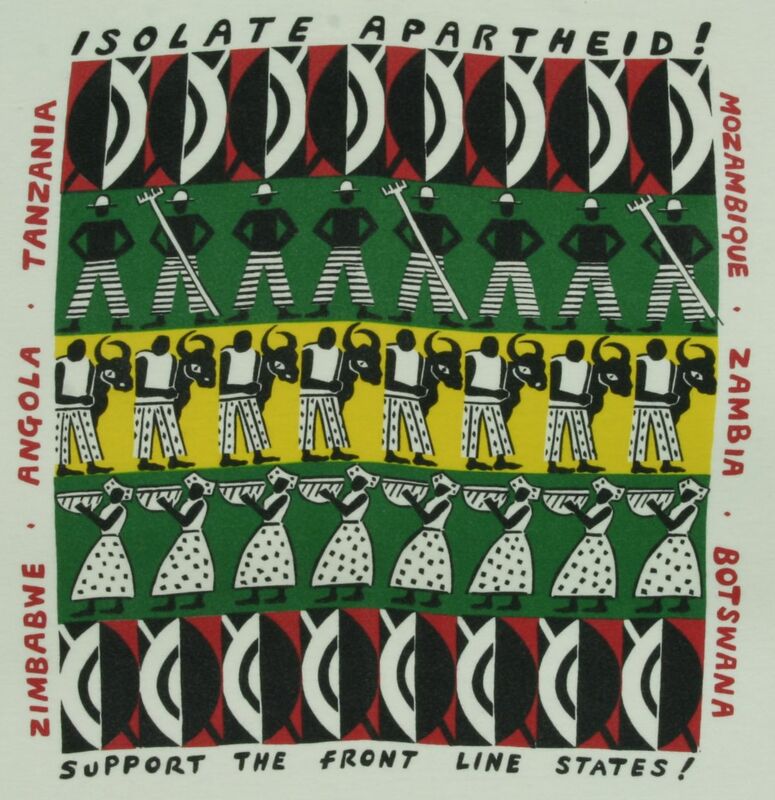 Royalties were given to the Anti-Apartheid Movement. Used by permission of the founders of AA Enterprises.